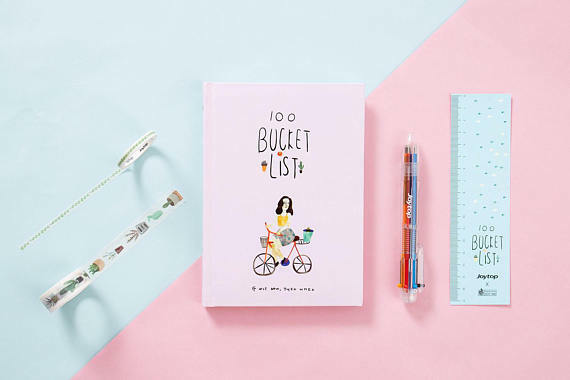 Get ready for this year to be your best year yet with this adorable bucket list journal. 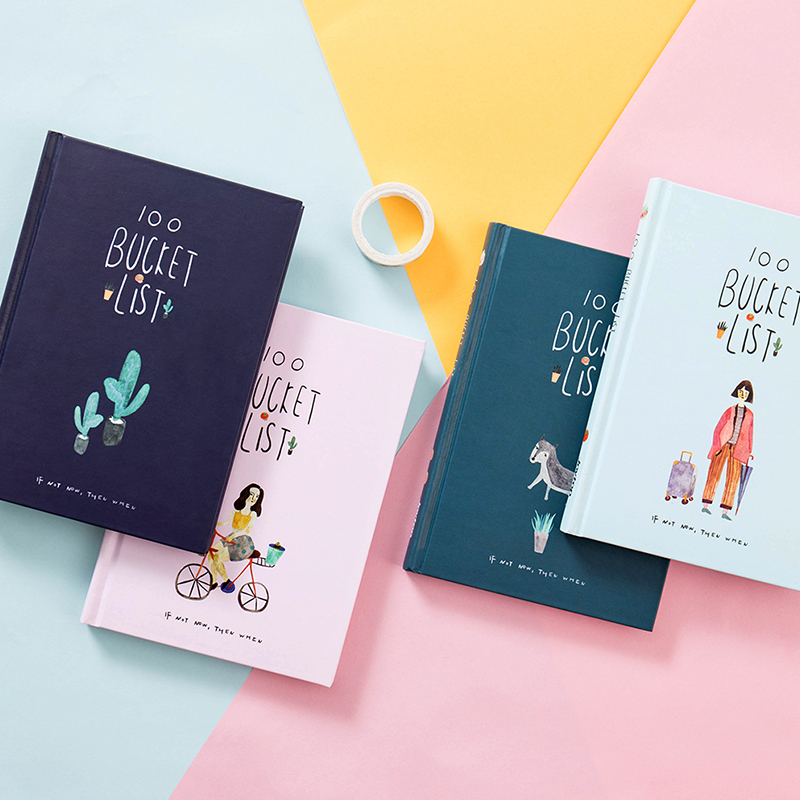 Fill the pages with all that you wish to experience in this short & beautiful life. 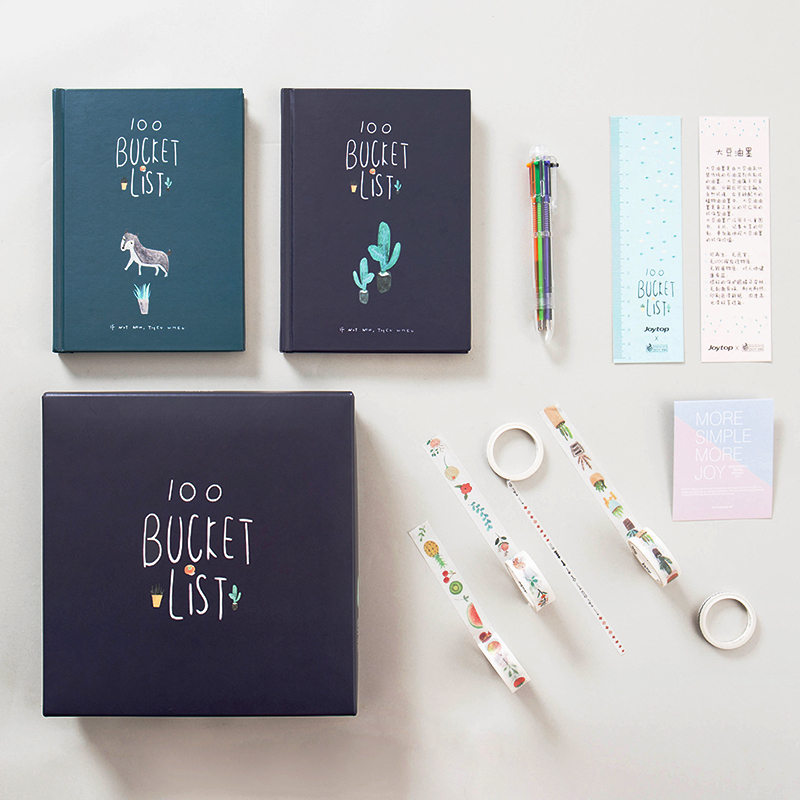 Imported all the way from Hong Kong, this gift set contains washi tape, a pen, and bucket list planner. 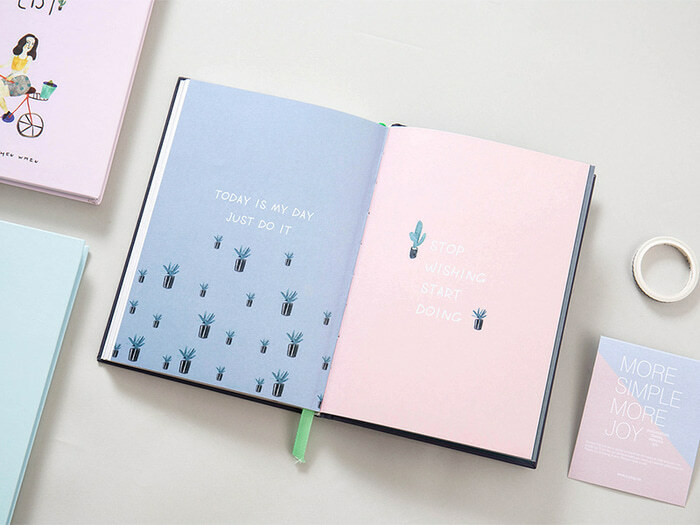 Each page is illustrated with unique designs including an index, inspirational tips, and quotes. The pages are labeled from No. 1 all the way to No. 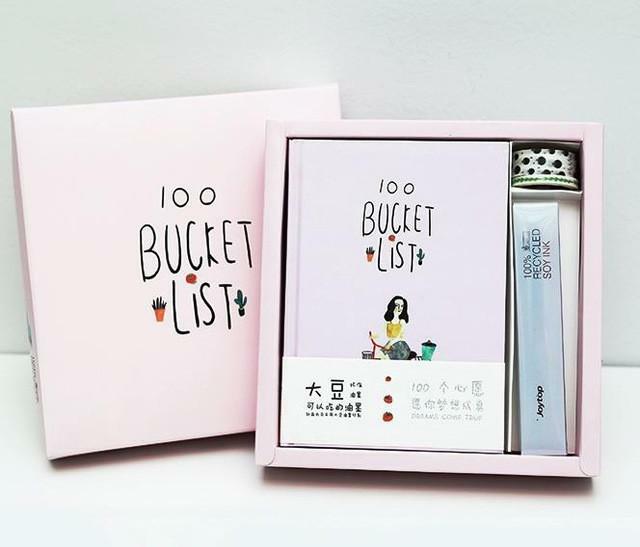 100 for ease of tracking.Insert photos/doodles to commemorate each experience. There’s also space in each page for you to note “when, where, how, who I was with, & how I felt” when a listed item has been completed.